As a dog owner, you may be used to seeing your canine companion pant in warm weather, but do dogs sweat? Contrary to popular belief, dogs do sweat, but sweating is only a small part of the process they use to cool themselves down. Merocrine sweat glands function similarly to human sweat glands. These glands are located in your dog’s paw pads and activate when he is hot to cool him down. This is why you might notice damp paw prints on the ground during particularly hot days. Most dogs are covered in fur, so sweat would fail to evaporate from their bodies. That’s why it is much more efficient for dogs to have sweat glands in their paw pads, where there is little fur. Apocrine sweat glands are different from merocrine. While veterinarians consider them to be sweat glands, their main purpose is to release pheromones, not cool your dog off. These glands are located all over your canine companion’s body and help him identify other dogs by scent, kind of like human body odor. What’s the Point of Panting? Sweat plays a very small role in cooling down your dog. Dogs rely on panting to do most of their temperature regulation. When dogs pant, they evaporate moisture from their tongues, nasal passages, and the lining of their lungs, cooling them as air passes over the moist tissue. They also rely on vasodilation to help them cool off, which is the expansion of blood vessels, especially in their ears and face. When the blood vessels expand, they bring the hot blood closer to the surface of the skin, which allows it to cool down before returning to the heart and help regulate an animal’s internal body temperature. Does Fur Make Dogs Hot? Your dog’s coat actually acts as an insulator. 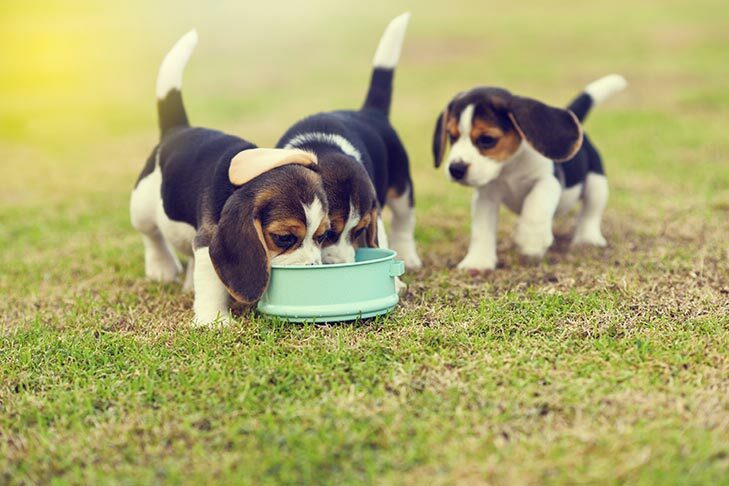 However, this insulating layer can backfire during continuously hot weather, as it can make it harder for dogs to lower their body temperatures. Think about an insulated thermos. If you stick one full of ice water in a hot car, it will eventually heat up after a few hours. Putting it in a freezer afterward will cool it, but the insulation will still keep the water warm for a period of time. If a dog gets too hot, it takes longer for him to cool down than a furless human. Dogs with thicker coats are better insulated than dogs with thinner coats, which explains why shorthaired, single-coated dogs are typically more heat tolerant but less cold tolerant. However, without this insulating layer, dogs are susceptible to heat stroke. This is why you should never hsave a double-coated breed. It can result in improper re-growth and the possibility of damage, clogging, and the loss of weather protection. Unfortunately, panting, vasodilation, and limited sweating are not as effective in cooling dogs down as sweating is for humans. This poses risks ranging from heat stress and heat exhaustion to heat stroke. 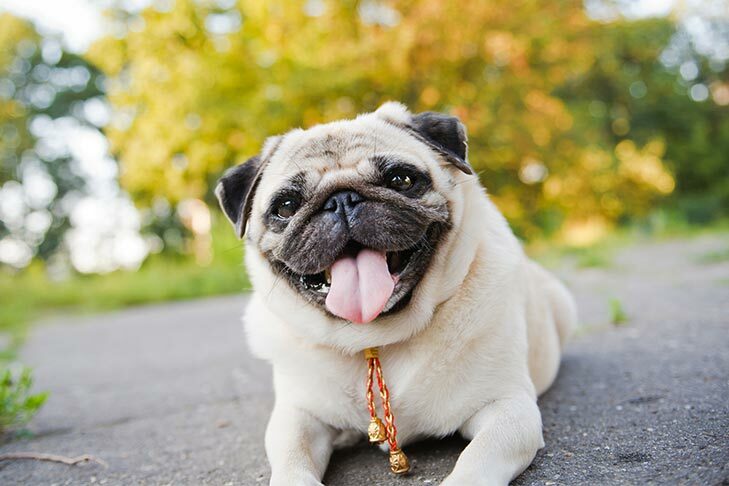 Heat stroke is a serious concern for all dogs, but especially brachycephalic breeds, such as Pugs, Boxers, Bulldogs, Boston Terriers, and French Bulldogs. 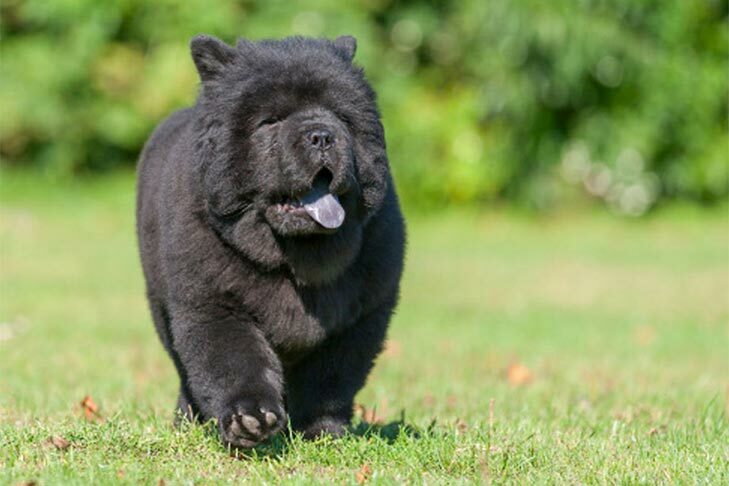 Thanks to their unique anatomy, these breeds are not able to cool themselves as efficiently as other breeds. Dog that have had heat stroke before, obese dogs, and those with dark coats are also at higher risk for heat stroke. If you suspect that your dog is suffering from heat stroke or heat stress, call your veterinarian immediately and take him to an animal hospital. We might not be able to make our dogs sweat, but we can help them regulate their body temperature by controlling their environment. If your dog is spending time outdoors, make sure he has access to shade and plenty of clean water. Also keep an eye on the temperature inside your house to ensure that it’s cool enough for your pets. Never leave your dog unattended in a car, even for a few minutes, as temperatures inside a vehicle can quickly climb to dangerous levels. Don’t exercise your dog when it’s too hot outside – instead do it very early in the morning or wait until the end of the day. If you’ve been out playing fetch, carry the ball back home for your pup, so he’ll be better able to pant well and cool himself off. You can also purchase a cooling vest to keep your dog comfortable for longer. We recommend the Hurtta Cooling Vest. By learning how dogs regulate their body temperature, you can help keep them stay cool, safe, and healthy year-round.